Leverage your positions. Stay in control. Why settle for less? Enjoy trading with freedom and get the support you need with up to 25x leverage on Liquid. Start margin trading now with leverage of up to 25x. Unleash the power of liquidity and take full advantage of the tightest spreads around that will make Liquid the only place you are going to want to trade. 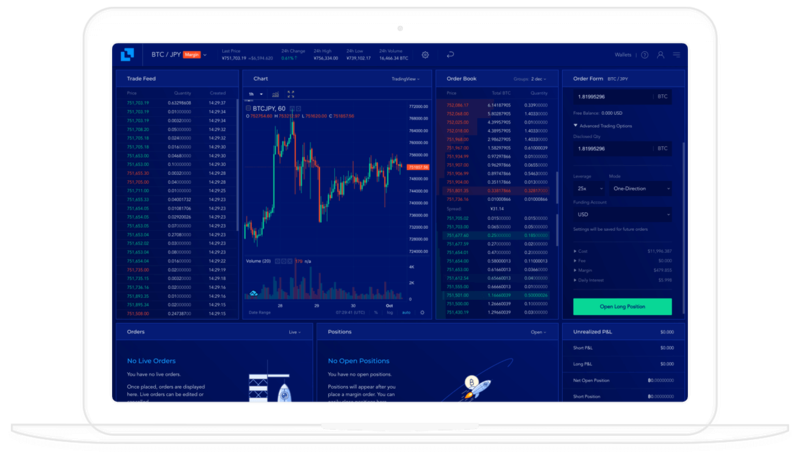 Power your trades the flexibility of funding offered exclusively on Liquid, including BTC, ETH, USD, SGD, JPY and EUR. Analyze your trades, monitor your profit and loss, and follow your short and long positions, all within the Liquid dashboard. Sleep easy in the knowledge that your funds are kept in 100&percnt; cold wallet storage while our Iron Shield protocols keep accounts safe. Liquid customer champions are on hand round the clock to lend a helping hand when things don&rsquo;t quite go to plan. Margin trading is a skill. Use articles in our blog and Liquid Learning Hub to equip yourself with the right tools to trade like a boss. Use margin to create leverage and go long or short with complete control over your trades.